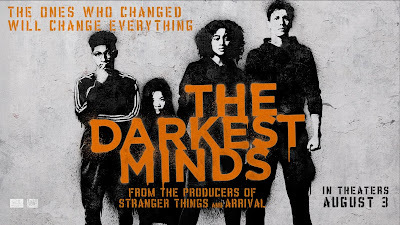 The Darkest Minds tells the apocalyptic story of 98% of the world’s children dying off leaving only those with super powers. The left behind 2% are sent to detainment camps and categorized by color that determines both their power type and how dangerous they are to others. 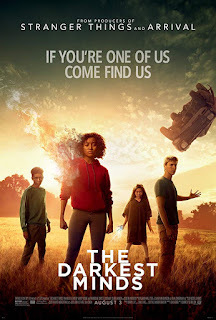 Ruby Daly (Amandla Stenberg) is among the most dangerous and figures out how to escape the deplorable conditions and bands together with other runaways to find a safe haven. When I first heard about this movie I thought this has been done before. While watching I felt this feeling even more strongly as it felt like it borrowed from several apocalypse movies mixed with the teenage X-Men. Looking further into it this movie is based on a book trilogy with the first one being released in 2012. It felt like it should have been released around the time the first Maze Runner or even X-Men: Days of Future Past movies came out because they’re so similar in genre so this movie’s release being so far after it feels like a knock off version. Do not get me wrong, the movie starts off with a bang and you think it’s going to keep its momentum. After the jam packed first 30 minutes or so it quickly loses its luster and hits a plateau. The plot takes a turn in several directions (mostly predictable) that left me wanting more. It felt like watching a lot of fluff and “seen that done before-s”. Also Ruby’s background makes no sense which gave me a chuckle because I don’t know what the writers were going for and felt like they forgot the direction they wanted to go in. It was interesting to see how they color-coded the kids and just how far their powers could go. Watching their eyes change while their powers were being utilized was interesting to watch. Also the tiers of their powers was unique because of how far they ranged from being super intelligent to being a full blown fire-breather. Maybe readers of the book will know why they were several moments in the movie that did not make sense like this and its their little secret. With there being two more books they set up the ending to be a final ending or a set-up to finish what was started. After watching this version I am not sure if I would want to see more of this series because of how inconsistent the pacing and storyline was.